Howard Chetkof is partner at Levin & Chetkof, LLP. He is a seasoned attorney and a highly skilled negotiator concentrating his practice in personal injury. He has represented clients who have sustained all types of serious personal injuries as the result of automobile accidents, motorcycle accidents, trucking accidents, pedestrian’s struck by motor vehicles, wrongful death, construction site accidents, premisses liability, trip/slip and falls, dog bites, assault and battery, nursing home negligence, and certain medical malpractice matters. Mr. Chetkof’s representation of injured individuals has extended to both the state and federal Courts. In addition, Mr. Chetkof handles matters involving legal malpractice, no-fault/first party benefit arbitrations and real estate. Mr. Chetkof, and the firm handle their cases from inception to conclusion, including the claims stage, litigation, trials and appeals. He has also directly negotiated and handled hundreds of cases at mediations and arbitrations and has recovered millions of dollars for his clients. Not only does he represent his firms client’s, Mr. Chetkof has been retained as outside counsel, by other law firms, to represent their clients interests at mediations, arbitrations, trials and appeals. 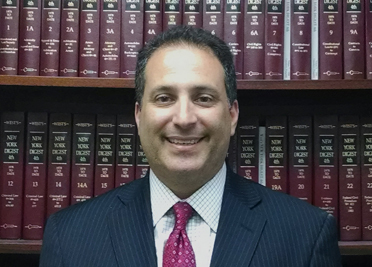 While a member of the Brooklyn Bar Association, Mr. Chetkof served as the chairman of the No-Fault arbitration committee, served on the civil review committee for civil court judges and the grievance committee (dealing with complaints/disputes between clients and their attorneys). Mr. Chetkof believes that every client has the right to talk directly to their attorney, not just the office staff, and has an open door policy for the firm’s active clients, former clients and prospective clients.